Partnerships are an integral part of our business and we maintain strong, ongoing relationships with all of our strategic partners. Our mission is to promote our partners’ business objectives while leveraging their capabilities for our clients. Waypoint Counter Surveillance Inc. is a Canadian federal corporation dedicated exclusively to providing professional Technical Surveillance Countermeasures (TSCM) and counterintelligence related services, equipment sales and training for all threat levels to government, law enforcement, large corporations, businesses, organizations and individuals across Canada and internationally. Our TSCM Specialists represent more than 30 years of experience with extensive national and international technical security, operational security, cyber security and Intelligence related backgrounds with military, federal government and law enforcement organizations to provide a complete range of the highest quality TSCM / counter espionage services. Veriato is an innovator in actionable User Behavior Analytics and a global leader in User Activity Monitoring. More than 36,000 companies, schools and government entities worldwide utilize Veriato to gain insight into the user activity on their network, and enjoy the security and productivity increases that come with it. Veriato’s product line includes the world’s leading employee investigation tool (Veriato Investigator), the award-winning User Behavior Analytics (Veriato Recon), enterprise-grade User Activity Monitoring (Veriato 360), powerful server management software (Server Manager) and robust Event and Security Log Management (Log Manager). The Chaos Group of Canada has entered into a strategic partnership with Fortinet, a world leader in high-performance network security. 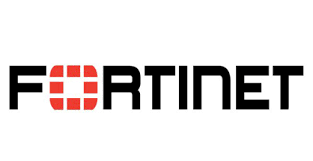 Fortinet holds a leadership position in the 2015 Gartner Magic Quadrant for Unified Threat Management; a prestigious title reserved for class-leading innovators in the field of IT security. From wired/wireless networks and messaging systems to Web applications, databases and much more, Fortinet’s solutions portfolio helps secure the broad enterprise information infrastructure, allowing customers to ensure security and control of their networks, users and data.